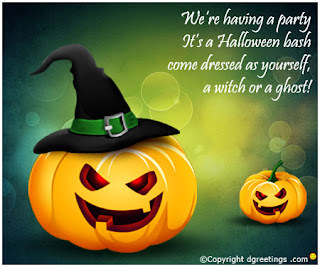 Halloween has dual spirit of both festive as well as superstitious feel. It is thought that the origin of Halloween is the ancient Celtic festival of Samhain in which people used to light bonfire and wear costumes to keep the roaming ghost away. 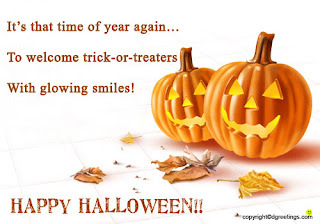 Now Halloween, which is also known as All Hallow’s Eve is celebrated each year on 31st Oct. With time it has become more secular. The event is now celebrated with all the child friendly activities and fun. The most significant activities in Halloween are trick-or-treat, costume parties, making pumpkin’s jack-o’-lanterns, lighting bonfires, playing pranks and visiting haunted attractions. Jack o Lantern and Pumpkin:Jack o Lantern is a carved pumpkin and to make this, generally a very large pumpkin is used. As per the Irish folktale, the name “jack-o’-lanterns” has come from a man named Stingy Jack in Ireland. The same tradition had been brought to America by Irish immigrants. America is a home of the pumpkins and so pumpkin as Jack o Lantern became a tradition. Turnip:In Ireland and Scotland, turnip was traditionally used on Halloween. There big potatoes and turnips were served as an early canvas. But then the immigrants to North America had started using Pumpkins which were larger and softer than turnips. Trick or Treat :Children celebrate Halloween by playing trick-or-treat activity, which is also known as guessing. From house to house children go in the Halloween costumes and ask for a treat or trick. In treat, the house-owner has to give candies or money or anything as a treat and if not done then trick is played that includes some mischievous activity on the house-owner or his or her property. Dunking or Apple Bobbing: It is one of the games associated with Halloween. The game is known as “dooking” in Scotland. In this game, apples are floated in tub or large basin and the participants have to remove them by using their teeth. In one variant of the dunking, the participants hold a fork in teeth and then kneel on the chair to get the apples out with fork. Haunted Places: Haunted attractions add thrill in Halloween. There is no mention of using these in earlier history till the used by the Junior Chamber International (Jaycees) for fund-raising purposes. Haunted ideas generally include haunted houses, hayrides and corn mazes. During festive season it has become a very good business generating sector in USA. There is one very interesting superstitious associated with Halloween. It dates back to 18th-century in Ireland and related to a matchmaking cook. The cook might conceal a ring in her mashed potatoes on Halloween night with the hope that her true love would find it on the dinner table. There is also another story like this in which it was believed that if a woman eats a sugary concoction made out of walnuts, hazelnuts and nutmeg, before going to bed on Halloween eve, then in her dream she would see her future husband.